Coughing, sneezing, runny nose? It must be that time of year again! 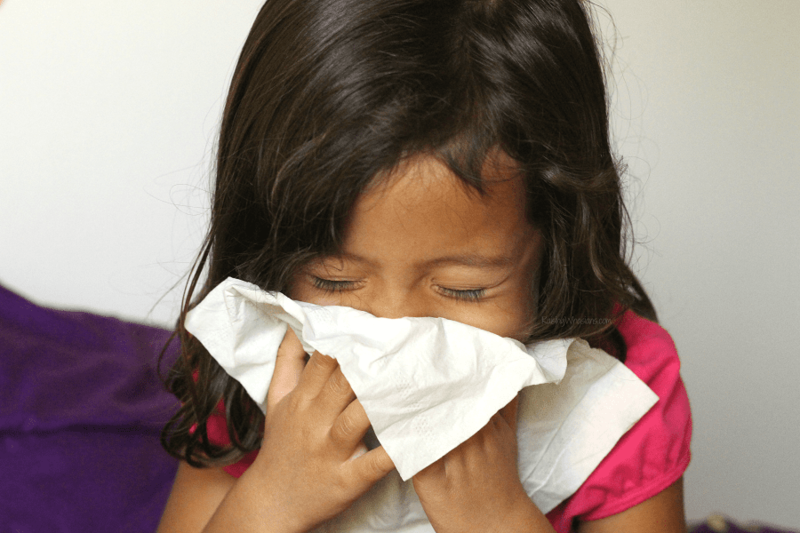 Is it a Child Cold or Allergies? 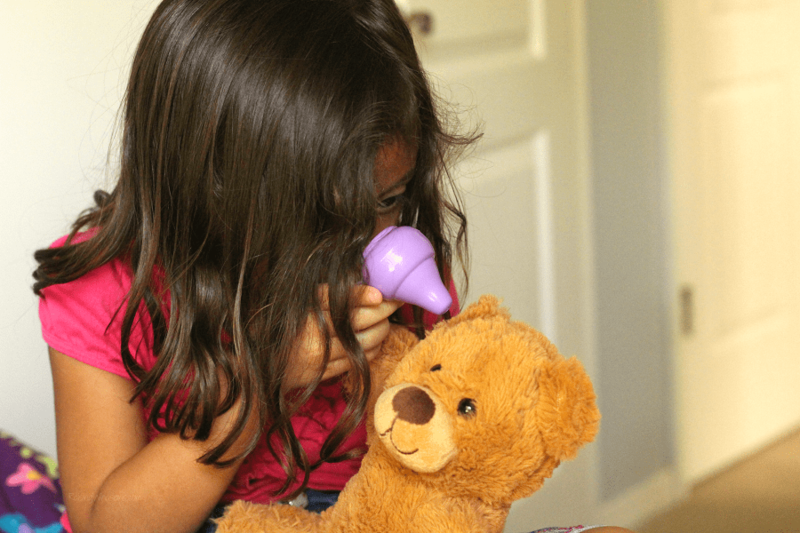 How to Tell the Difference when your child is sick! This is a sponsored post. All opinions are my own. Do you know how can I tell when my kids are settled into the school year? ALL of the tissue boxes come out of the closet. And you get a tissue! And you get a tissue! And you’re so special – you get the double layer tissue! A sneezy boy here, a boogery nose girl there, and a mom on-call 24/7. Fall is in the air…literally. How can you tell if your coughing, sneezing, runny nose child is coming home from school with a cold or allergies? Yeah, I’m with ya. Here’s how to tell the difference between a child cold or allergies. 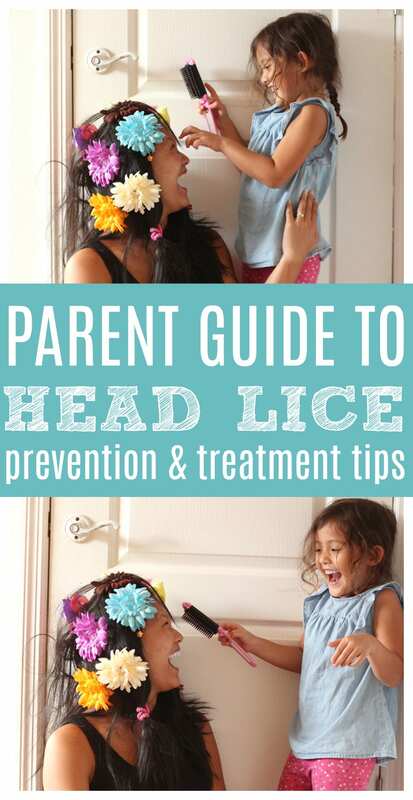 And of course, get tips to help your little one feel better sooner. What symptoms does your child have? If your child “looks sick,” the first thing you’ll want to do is check what signs and symptoms they’re having. Allergy and cold symptoms can seem similar (not to be confused with a child flu), but there are some distinct differences to be on the lookout for. Fever or no fever, that is the question. One of the biggest differences between colds and allergies is the presence of fever. So have that thermometer handy when symptoms start. And if there are body aches, lethargy or a “they just don’t look right” feeling, check their temperature. And check it often. I’m a huge fan of checking for fevers – it’s an easy measurable indicator of your child’s health status. How long is the sickness lasting? How long has your child been under the weather? The length of time your child has symptoms can be a huge indicator on whether they have a cold or allergies. Colds tend to last around 3-7 days. Allergies on the other hand can last weeks, months, and in some cases all year round, depending on their exposure to the allergen. How are your child’s friends feeling? Is a school bug floating around? 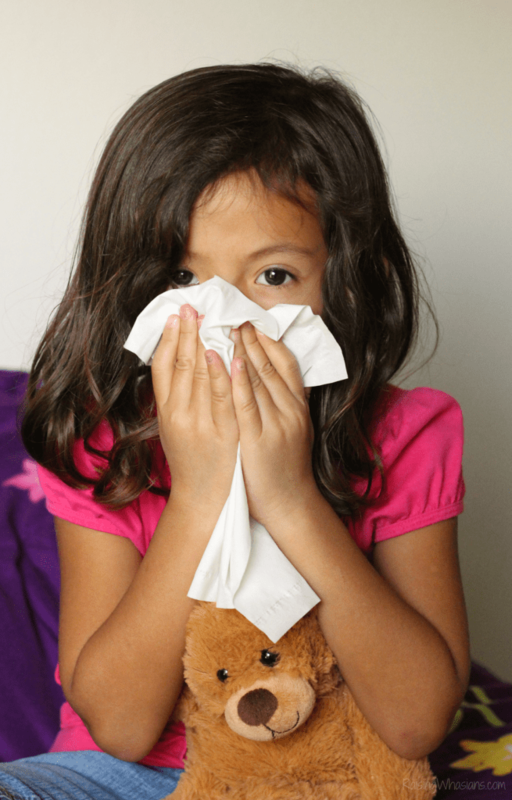 Chances are if a cold is going around school, your child’s friends may be feeling it too. Check with the teacher to see if there is a peak in cold symptoms, as well as absences in the classroom and school. 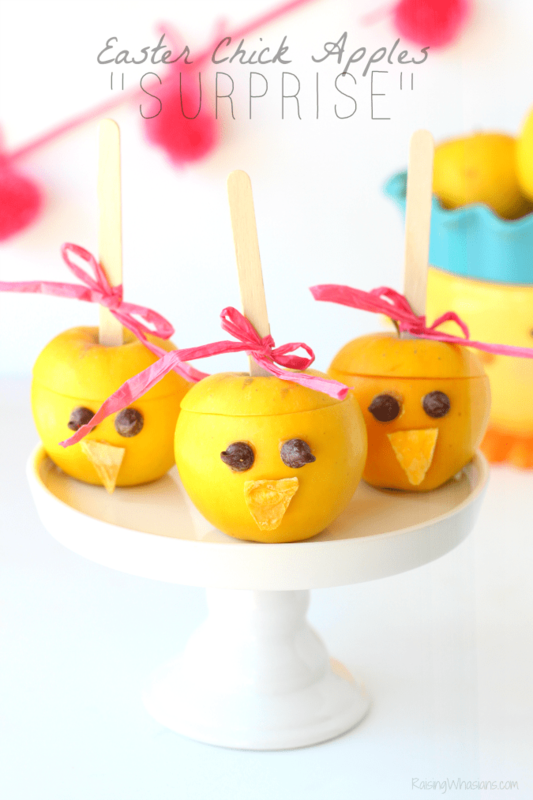 What activities are your kids participating in? Chances are if there’s a history of allergies in the family, your child is apt to get the same ones. Check for similar allergies in other family members (yes, even grandma and grandpa! ), and be sure to look for history of asthma and eczema as potential allergy indicators as well. 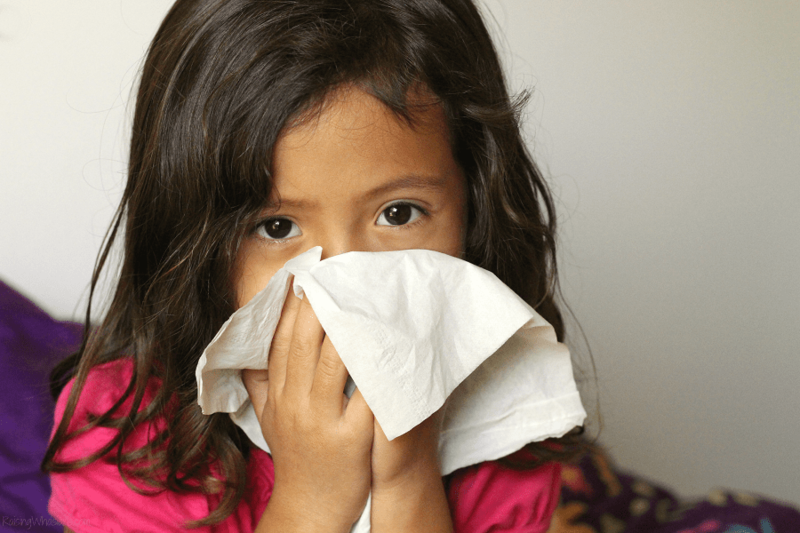 How do you treat child cold or allergies? Allergies can be a pain and there’s no cure for the common cold. But the good thing about a child cold or allergies, there are ways to be able to treat your child’s symptoms at home. From steam showers to saline drops, vapor rubs to boxes upon boxes of tissues, keep your little one comfortable with lots of love and at-home treatments. Over-the-counter medicines may help too. 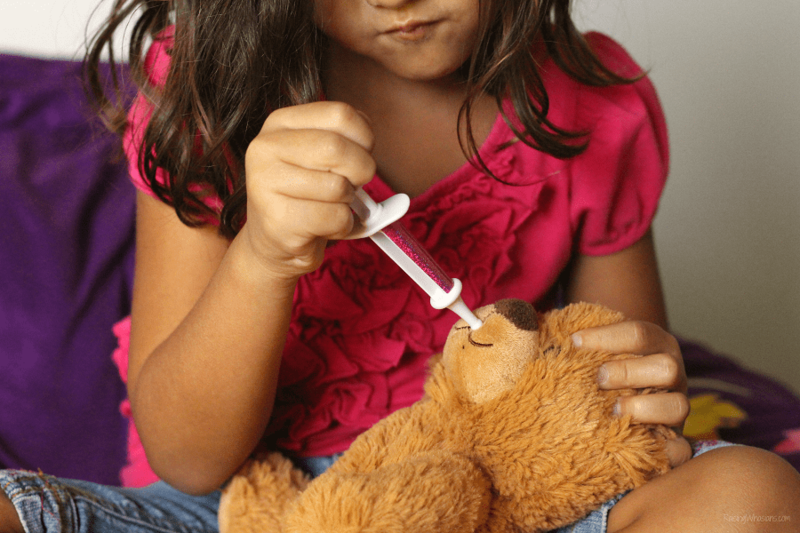 It’s always important to double check proper dosing for kids and to refer to the Drug Facts label prior to giving any child medicine. Pain relievers/Fever reducers like acetaminophen or ibuprofen to reduce fevers and body aches. If your child has a fever and you are treating their symptoms with an OTC pain reliever, remember that you always want to dose them based on their weight, not their age. 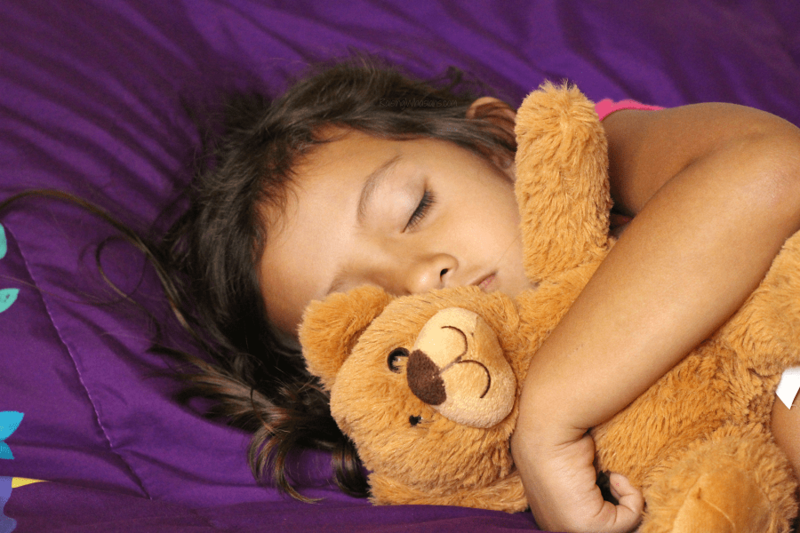 Check out my parent guide to treating fevers in kids for more info on proper dosing. Multi-Symptom Cold Medicines usually contain multiple medicines to treat for cold symptoms, which may include all or some of the medicines above. Use with caution, especially in kids and avoid double-dosing your kids with the same medicine. It’s always important to work with your child’s doctor to determine the best treatment strategy for your child, so you can get them feeling better sooner. 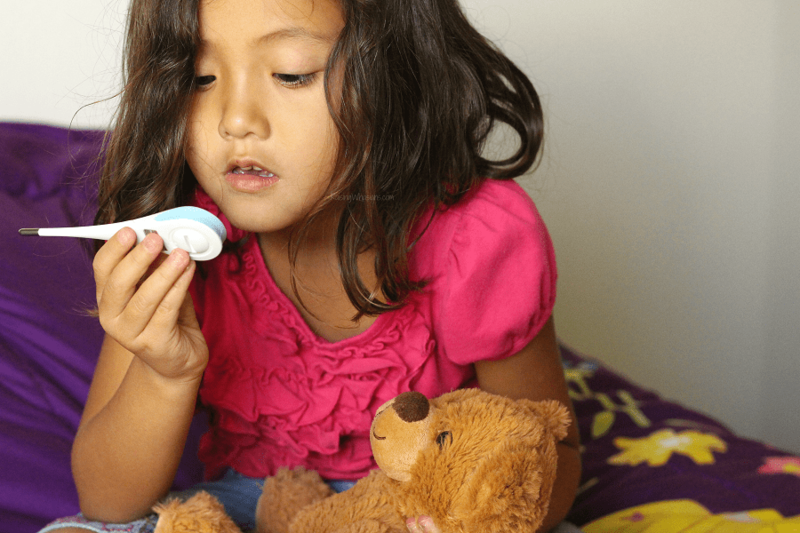 Learn more about knowing the difference between a child cold or allergies at KnowYourOTCs.org, a great parent resource with tips for treating your family with over-the-counter medicines. Looking for more back-to-school health tips? I am a #KnowYourOTCs blogging ambassador, compensated by the CHPA’s Educational Foundation in support of KnowYourOTCs.org. All opinions are my own. Be sure to follow Raising Whasians via Facebook, Twitter, Google, Instagram, Pinterest and YouTube for more family tips, delicious recipes, and kid crafts.